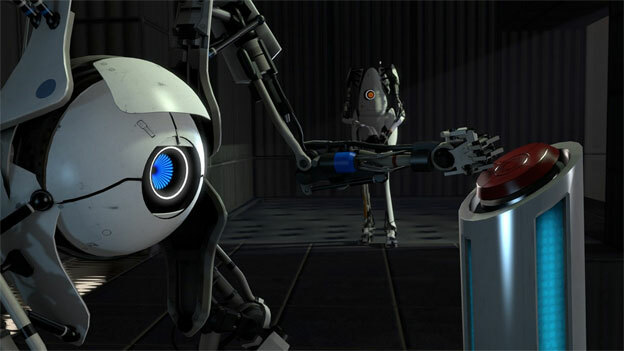 Game publisher Valve has finally announced a release date for the long expected Portal 2. The cross platform game will ship on April 21, 2011 for Xbox 360, PlayStation 3, PC, and Apple Mac platforms. It's sure to be a popular game - and this time, it's a stand alone game and not part of an Orange Box . Doug Lombardi, vice president of marketing at Valve had this spin to share "Portal 2 is Valve's most innovative title in the company's history and will be launched with a first-class launch campaign this April," "We're excited to be working with Electronic Arts to deliver this title as we expand our platform strategy to include the Mac and PlayStation 3 platforms." The plot of Portal 2 takes place hundreds of years after the first game. Despite her apparent destruction at the end of Portal, GLaDOS, an artificial intelligence computer system, is "still alive". The player controls Chell, the same protagonist from Portal. Portal 2 will take place in the Aperture Science Labs, untouched by human hands but overrun by decay and nature. At the start of the game, Chell is awakened by a pre-recorded male announcer, guiding her through the facility. Chell meets, Wheatley, who has become concerned for the state of decay of the Lab and seeks to remedy it. Wheatley acts as the player's guide during the tutorial and initial stages of the game. The two encounter the dormant GLaDOS and accidentally wake her; the computer accuses Chell of murdering her years ago. GLaDOS begins to rebuild the ruined facility, and puts Chell under more tests, stating "I think we can put our differences behind us. For science. You monster." "So what exactly has changed in the sequel? Valve's added in plenty of toys to help you solve puzzles, including spreadable globs of bouncy goo and jump pads and light bridges and more. But what really stands out is the sound. Trapped in your room at the start, you're awakened long after the shiny and clinical cleanliness of the Aperture Science facility has rusted. It's in the process of being gobbled up by grasses, vines, and trees. It turns out you're a forgotten survivor, and your room is only one of many hanging in a Matrix-like storage facility where other test subjects were placed to await their trials." "The goal throughout is simply to escape, though doing so requires you to pass right by GLaDOS's deactivated body, which doesn't stay slumped over for long. What dangers wait for you and Wheatley and whoever else beyond that point remain to be seen. The short, tutorial-style challenges separated by elevators that comprise the first 30 or so minutes of gameplay feel highly reminiscent of the first game, but the connecting story sections leave me hopeful that there's a lot more to this sequel in terms of puzzle complexity and entertaining character interaction." This new version of Portal will also have two player co-operative mode. Two new characters will be introduced for this mode, which will have its own unique plot and setting. These two characters are Atlas and P-body, a modified personality core and turret gun, respectively; both units are bipedal and equipped with their own portal guns. You can pre-order Portal 2 from Amazon here.